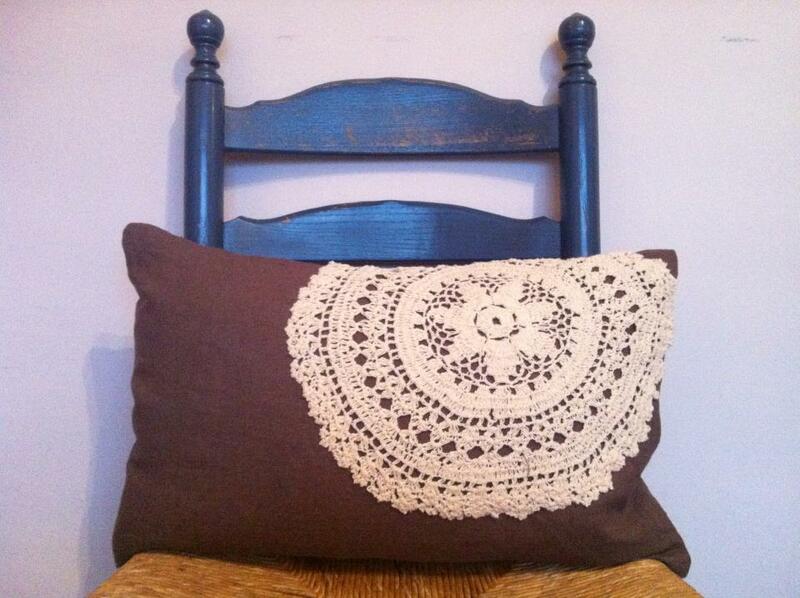 I love patterns, textiles and creative people who are making fabulous home accessories. I recently came across British designer maker Anna Hayman on Instagram and her posts always make me smile. Anyone who has followed Nina’s Apartment knows that I am a sucker for colour and bold Scandinavian-style patterns so it comes to no surprise that this creative lady’s work caught my eye. Such vibrant prints, beautiful florals and bold colours – her images just make me happy each time they come across on the timeline. I decided to get in touch with Anna and find out more about her work and what inspires her. With her collections appearing in more shops and exciting collaborations on the horizon it sounds like she really is one to watch! I hope you will agree with me that Anna’s designs are gorgeous and worth featuring on the blog today. Anna, can you tell us a bit about your background? I’m from an artistic and musical background, with a bit of retail management and window dressing thrown in. Although I’ve been piano teaching most recently, I had a shoe brand for six years (2006-2012) before having children, so ANNA HAYMAN DESIGNS is my ‘round 2’ business-wise. I’m an unstoppable creative person and most of what I do is completely self-taught. How long have you had the business for? The business has been a gradual build up over the last year or so, I keep saying ‘I’m launching all the time’, as the brand, message and signature style of my designs takes shape, and the use of them changes and develops. I’m not one for beginnings and endings and things being pinned down, as then the work has freedom to evolve. As I do more and more designs they develop a look and feel which is exclusively mine, so I’m planning to keep the branding solid then the designs can vary from season to season. It helps if I use the same methods, i.e. lino-cutting to create them, then it makes a ‘family’ of work. When you travel, what kind of things do you photograph / take home that may inspire your work? Flowers, flowers and more flowers! I’m on an Art Nouveau tip currently and completely obsessed with arts and crafts, and Art Deco patterns. It will always be florals for me, with some geometrics thrown in. Colours are important too, darker gemstones are my fling right now so I’m looking at Lapis Lazuli and Mystic Topaz. Mid tones are trending out so I’m looking more at dirty metals, dark greens and pastel shades. What or who else inspires you in your work? I re-read a lot of the same source books, Celia Birtwell, Biba, William Morris, Rennie Mackintosh, and Sixties patterns. Pinterest is a massive influence, the richness, variation and ease at which you can consume images, and feed your mind, is a daily essential for me. In terms of contemporaries, Iris Apfel, Cressida Bell, and Abigail Borg are people I look up to in terms of their colour use, style and finesse. How would you describe your home and interior style? I’m on a knife edge this week as we are waiting to exchange on the most beautiful 1920’s house, with original windows and fireplace, in rural East Sussex. I’m planning to go to town on decking it out in vintage patterns, it’s going to be a serious print frenzy, I love the idea at the moment of matching wallpaper and upholstered furniture, with matching crockery. And clothes! It has a huge garden which I would like to set up a heavily glazed office in to work from so that I’m surrounded by nature. A massive hammock is on my shopping list. Mid-week days are my work days, my children are small so it’s a juggling act, but I have a lovely studio in Lewes where I can work quietly from 9.30am-3pm. My husband and I are both work-mad, so we do a lot in the evenings and weekends where sociable! It’s never hard to be ‘disciplined’, I can’t wait to arrive at work in the morning and get creative. I do a bit of everything in a typical day; design work, discussing forthcoming projects with factories, sales, admin, website updates, marketing, making prototypes, finding new leads – there’s a lot to do. Having said that I’m taking the summer to produce a new body of work really in readiness for next year so it’s in a more creative phase right now, the bit I most enjoy. What are your plans for the next 12 months? Any exciting events/collaborations or other things lined up? As well as selling my ceramics collections in shops, I am focusing on the prints, with collaborations in mind. I’m exhibiting at Top Drawer in January which is a huge trade event at Kensington Olympia. This will hopefully open more doors in terms of licensing work, (where a company buy and use my prints). I have some collaborations I’m working on at the moment but I’m afraid I’m sworn to secrecy! Watch my Instagram account (the hub of the business) for news on these. I have a lot of irons in the fire and am really intrigued to see what 2017 brings. I think it will be a really fantastic year. You can currently buy ANNA HAYMAN DESIGNS ceramics and textiles online via her website. “Oh my goodness, my mum had one just like that!”…. “It’s like walking into my auntie’s house”…. Yep, that’s what I hear in my shop almost on a weekly basis! I sell old furniture that for some people is too much ‘like their childhood’, or is ‘too recent’ for others. But I love it. And this is why. In Groningen, The Netherlands, where I am originally from, I studied Architecture History with the emphasis on the 20th century. Modernism was a big part of the course and that is most definitely where I got my passion for form and design. A lot of architects, such as Juhl, Eames, Mies van der Rohe, Jacobsen and Le Corbusier are not only responsible for revolutionary buildings, but created some of the most iconic pieces of furniture too. If you have ever visited Barcelona you might have come across the gorgeous pavillion by modernist Mies van der Rohe (pictured above). Would you believe this was built in 1929? A lot of great chairs have been produced by these guys too. Who doesn’t know the famous ‘Eames chair’ from the 1950s, that is still being produced and more popular than ever? Mies van der Rohe’s ‘Barcelona chair’ is still in such high demand that there are now numerous companies around selling reproductions. It is the attention to detail, the love for material and the belief that ‘form follows function’ rather than to adorn a piece of furniture – or building – with unnecessary decoration, that make these ‘vintage’ designs into timeless classics. Buildings are ‘light and open’ instead of dark and heavy and so are the chairs, tables and sideboards. The key to a great looking interior with these vintage pieces though is to create a cool mix. Don’t buy a complete matching set of 1960s teak furniture or you will recreate your auntie’s house (especially if you get that orange Hornsea coffee pot out as well). Buy a good solid mid-century sideboard, hang a large bold painting or photograph above it, invest in a great new sofa from a designer shop (or get a budget one from Ikea 😉 and add old and new accessories you find on your travels to make the room truly your own. And keep it light and airy. When you visit my little shop you will often find teak sideboards and chests of drawers, 1960s dining room sets and Scandinavian looking armchairs of at least 40 years old. Some pieces I paint when I think they look better in a different colour or are too damaged to sell as they are. Some chairs I recover to give them an updated look. But all items are chosen because I really liked them. The word ‘vintage’ is terribly trendy at the moment and the word ‘retro’ always reminds me of brown and orange psychedelic wallpaper (and that matching Hornsea coffee set). When I select furniture for the shop I go for pieces that have a beautiful shape, are well made and would look just as good in a modern home as they did 50 or so years ago. While I can’t promise you that all pieces found at Nina’s Apartment are designed by famous architects and designers (but I do my best to hunt them down! ), I do promise that they will be great examples of beautiful & classic design. Is this 1960s dining set still reminding you of your auntie’s house? I love mid-century (50s/60s) furniture, particularly the clean lines of sleek sideboards and elegantly designed chairs and tables. The Scandinavians were – and are – very good at this style, and back in the days various British manufacturers started producing furniture in this more ‘airy’ style to be part of the trend that became very fashionable after heavy wooden, carved and dark furniture had been filling the houses for decades. Some of the better known British brands producing beautiful mid-century pieces are Ercol, G Plan and McIntosh, using solid teak wood and creating furniture that lasts. As I am based in Britain it is hard to come across true Scandinavian made vintage furniture (I guess it wasn’t readily available up here to people in those days), but I do sell beautifully crafted pieces made in Britain in a style that reminds you of classic Danish design. I regularly stock retro sideboards that look stunning in a contemporary setting, especially combined with some great artwork hung above it and some ceramics grouped together on top. Recently I also picked up a lovely small chest of drawers, a 1960s plastic woven chair and a wonderful Ercol dining table and chairs. Even though all of these pieces are up to 50 years old they would make any modern interior look stylish and up-to-date now. You only have to open one of the many Home Interior magazines and they are full of vintage and retro style items. I was told that Marks & Spencer now does a replica of the 1962 iconic Ercol dining table and John Lewis has also started selling 1950s/60s style furniture. Great news that it has come back into fashion, but I still believe that you cannot beat the real thing. Yes, old stuff often comes with scratches, but what is nicer than introducing some well-made key designer pieces to your home that last, have a story to tell and have been loved by many? I love graphic design and creating blogs, postcards, posters, flyers, business cards and more. I also love free printable vintage tags and labels. Make your Christmas gifts and decorations extra special this year with these ideas! Just something I made Great round labels. Lately I have come across some absolutely gorgeous free printable and downloadable images and textures. What better looks better as a finishing touch than a customised, vintage label to go with your hand-made gift? Here we go! Have fun and do share links to your websites if you’ve created anything with them! A great site with lots of vintage downloadable images including postcards, stamps and envelopes as well as polaroid frames, canvas textures and old sticky tape. Yum! Wonderful website with lots of ideas and inspiration for weddings – but of course these great labels can be used for your homemade Christmas gifts too. Worth a look. Not free, but super affordable, is this gorgeous wrapping paper from DesignStudio51. For less than the price of a coffee you buy yourself a ZIP file with the most beautiful printed wrapping paper to make a real impact this Christmas. I found a great selection of free downloadable Retro type fonts on this website, ready to be used on all your labels, cards and other creations. More yummy type fonts! Which one to choose??? Heaps of great vintage labels to stick on jars, bottles, boxes, gifts, anything! Some more lovely vintage Christmas tags. Oh my – are those gifts going to look good this year or what.! Cover some tin cans or mason jars in vintage wrappers. You may want to keep some yourself as a home for your pencils, scissors and other bits and bobs too! I am selling them for £25 ($40) each excl insert, with free shipping to the UK. Happy to ship internationally as well – just drop me an email on ninasapartment at gmail.com. Makes a perfect handmade Christmas present! 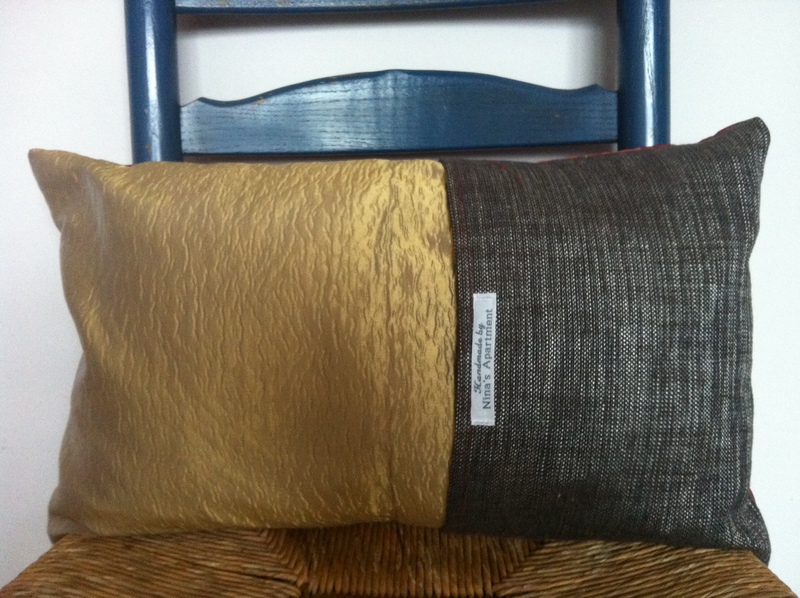 I am open to make custom pillow covers, so if you’re looking for a specific colour scheme just let me know. I love Danish design and this lamp, called the IQ Light, is one of my all-time favourites, especially when lit at night. The one pictured below is a replica and sold on eBay. I also love Moroccan lanterns and pendants that create such a lovely diffused light. This one is from Haysom lighting. This one is a cheapy from B&Q, that we’ve got hanging in our hall way. Got a nice retro feel to it! This pendant light is great for its simplicity and elegance and would go in any interior really (and I’d love it to in mine!). You can get it on eBay. This pendant light with aluminium casting is reminiscent of the successful industrial era of the 60’s. I love it! Wouldn’t it look great in a pair above the kitchen table? It is available from Garden Trading. I don’t usually boast about Scotland as the place to be when it comes to interior design, as most interior shops up here I just find incredibly boring and traditional. Sofas are bulky, sideboards massive, “contemporary design sofas” often means “oddly shaped” and made out of black or red leather – but still bulky. Where are the aesthetics? I am always flabbergasted (I love that word) by the many homes decked out with complete lack of inspiration, with everything bought brand new, in the same shop, on the same day, in the same colour. Playing ‘safe’, by choosing beige, creams and ‘neutral’ colours. It’s so soul-less! Anyway, I will get off my soap box now – phew – because today I am proud to present Papa Stour, a wonderful Scottish online shop featuring great individual, eccentric home decor pieces by some very talented artists! Papa Stour was launched 5 years ago by Rosie Brown, a Scottish textile designer, freelance interior stylist and a regular contributor to publications such as Elle Decoration, Living Etc and Homes & Gardens. Since Scottish design seems to be my topic today, I’d also like to boast about my good friend Libby Day, who is a very talented designer based in Aberdeen, making the most wonderful contemporary interior pieces – and jewelry (including my wedding ring!). Libby focuses on the natural and built environment as inspiration for her designs, which I think is shown beautifully in her room dividers/screens and the box seats. Libby does large commissions and big interior projects, but also sells limited edition items on her website www.day2designs.co.uk. Do check out her fruit bowl and lighting, as they’re ace.